A patient wears a sensory technology device to measure unseen human movements. Capital Area Physical Therapy and Wellness in Malta and Queensbury is offering Dorasvi, a revolutionary wearable sensory technology based out of Australia that is used by several professional sports organizations around the world like the New York Islanders and European Premier League Clubs. Dorsavi technology includes small wireless sensors that contain an accelerometer, a gyroscope and a magnetometer to measure parts of human movement that are unseen to the human eye. 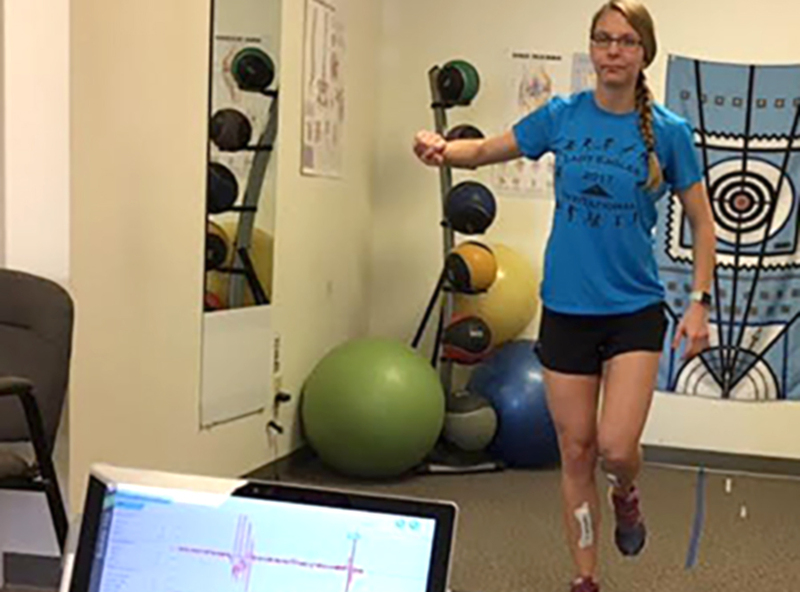 The portable, motion-capture technology records data at 200 frames per second and gives the therapists a real-time biomechanical analysis to accurately assess, prevent, and manage injuries and guide rehabilitation. 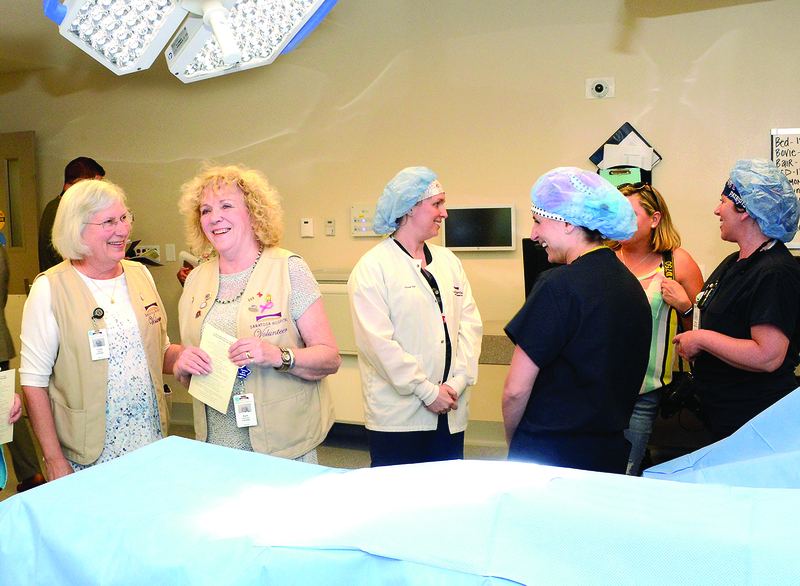 Visitors, volunteers and staff of Saratoga Hospital recently toured one of the new state-of-the-art operating rooms resulting from the hospital’s $8 million capital campaign. Saratoga Hospital celebrated in May the closing of its capital campaign for surgical and intensive care services. The campaign began with a $4 million goal that was doubled to $8 million, due to the community’s motivated response to help secure support for burgeoning surgical and critical care volumes, hospital officials said. The campaign supported the largest capital project in the hospital’s history—its new Surgical Pavilion and the Marylou Whitney and Desmond DelGiacco, MD, Intensive Care Unit. In total, the five-year campaign raised $8 million toward the total costs that exceeded $32 million. Burn Boot Camp Christa Resavy oversees one of her trainers at the facility she oversees at at 1758 Route 9 in Clifton Park. The 4,000-square-foot facility is in Parkwood Plaza. 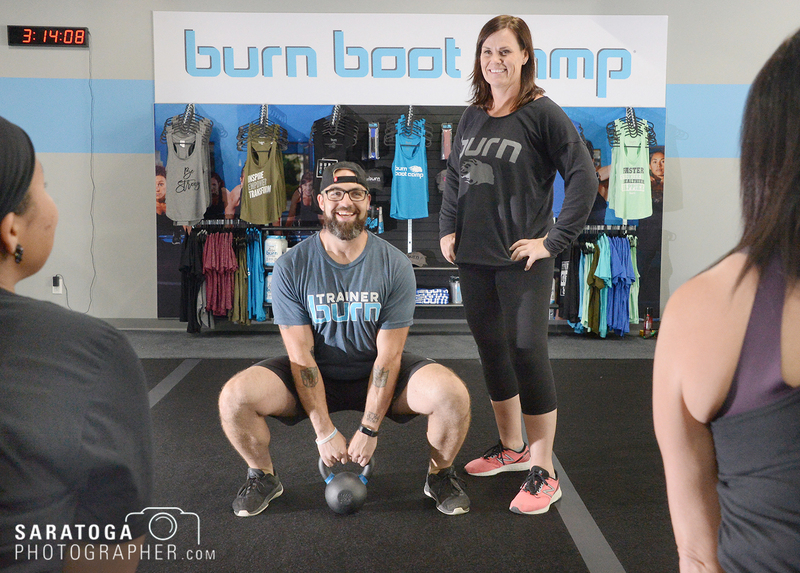 For people wanting to get in shape and looking for a comfortable, judge-free zone to do so, Christa Resavy says Burn Boot Camp in Clifton Park is the place. She said this fitness arena provides results through a workout that people will want to maintain for life. Originally from Glenville, Resavy is running the Clifton Park location from her North Carolina home. She said she is excited to see the Capital District experience this new take on getting, and staying, in shape. Resavy said after attending the College of Saint Rose, she met her husband and began traveling across the country for his career. She said throughout various moves, she was able to find friends and connect through exercise programs. After tearing her ACL while in her current location of Raleigh, N.C., she said she began to look around for a place that would allow her to slowly get back into her love of physical fitness. She found a local Burn Boot Camp, and immediately felt it was the perfect match for her. Following a rigorous approval process with months of preparation, Saratoga Hospital has been designated a Diagnostic Imaging Center of Excellence (DICOE) by the American College of Radiology (ACR), said to be the highest form of recognition an imaging department can receive nationally. 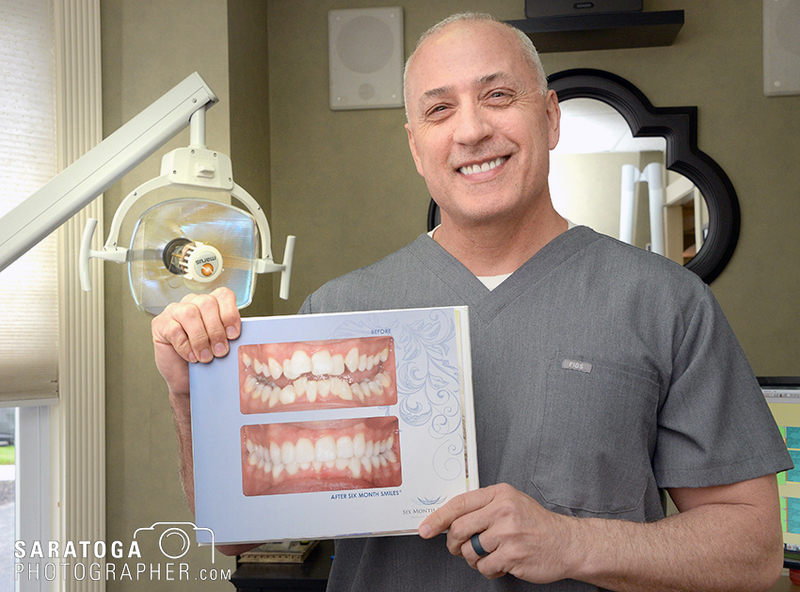 The designation applies to the imaging facilities at both the hospital and Wilton Medical Arts locations, the first to earn this recognition in Upstate New York north of Orange County and east of Buffalo, according to the hospital. SUNY Ulster President Alan P. Roberts and SUNY Empire President Merodie A. Hancock sign a pact allowing for former’s college nursing students to transfer easily to SUNY Empire State. SUNY Empire State College and SUNY Ulster have formed a new partnership to address the demand for registered nurses in New York state to have completed a bachelor’s degree. Thanks to the partnership, graduates of SUNY Ulster’s nursing program will transfer seamlessly to SUNY Empire’s RN to BSN program, college officials said. SUNY Ulster’s nursing graduates also will be able to complete upper-division SUNY Empire RN to BSN courses through a blend of online and face-to-face learning at SUNY Ulster’s campus. The Wesley Community in Saratoga Springs, pictured here, has Senior Solutions, and will now be able to offer health services to clients outside of this compound. The Wesley Community has acquired Saratoga Springs-based home care provider Senior Solutions, which will enable the senior services organization to offer in-home care to clients and residents. 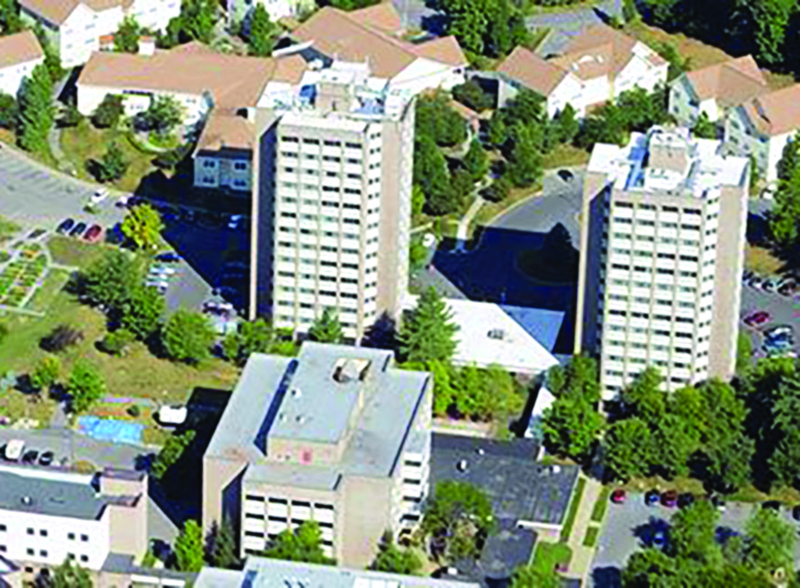 The move expands the service offerings of the Wesley Community from its Saratoga Springs campus to a home-based setting, and extends the geographic footprint of the organization from beyond Saratoga and Warren counties to include the adult aging population within the Schenectady area, officials said. The acquisition also allows the Wesley Community to add another level of service to its continuum of care model, which includes independent and enriched living, short-term rehabilitation and long-term care options for seniors. 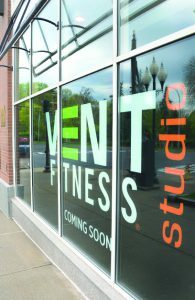 Vent Fitness will soon open at 307 Broadway in downtown Saratoga Springs. The facility, at 307 Broadway, at the corner of Congress Street, is the fifth in the area for Vent Fitness, but the first to feature a studio concept. Vent has renovated an existing building to provide 4,600 square feet of space. A mid-June “soft opening” is planned with something more celebratory later in the summer. They expect to employ between five and 10 people, including fitness instructors and office staff. Members will participate in group classes featuring interval training at various levels of difficulty. Interval training alternates periods of high-intensity exercise with less strenuous intervals. Every student receives a heart-rate monitor and the data is posted on a screen for all to see. Sharing is compulsory, Wright said. The gym will also have locker rooms and showers, as well as a lounge area, a live DJ to provide music, a shake bar and a retail sales area, selling athletic clothing and gear and other items that might come in handy during a workout. As New York state shifts away from paper prescriptions, an Albany Medical Center physician said electronic prescribing, or “e-prescribing,” will lead to improved patient safety and a more efficient prescription process. As of March 27, all prescriptions written in the state must be transmitted electronically from the prescriber directly to the pharmacy. According to Gov. Andrew Cuomo, the requirement is a key component of New York’s I-STOP initiative that is focused on helping curb the abuse of prescription medication throughout the state. Prescriptions will no longer be handwritten or called into a pharmacy for all medications, including controlled substances, except in rare circumstances. According to state officials, those limited situations include such things as disasters, and technological or electrical failures. In exceptional circumstances requiring written prescriptions, prescribers must still use official state prescription forms and document the reason for use of the paper script each time. Prescribers with waivers are exceptions to the e-prescribe mandate. Patients seeking the best prices for their medications can still comparison shop before asking their doctor to send their prescriptions to their preferred pharmacy. • Lower risk of errors due to poor handwriting. Improvements and enhancements at the Wesley Community’s Springs building include this upgraded dining area. Enhancements began in 2015 and more are scheduled over time. The Wesley Community in Saratoga Springs, a provider in housing and services for independent seniors and those requiring all levels of care, recently unveiled a series of enhancements and improvements to its Springs building. The renovations to the fifth floor of the Springs building increase the amount of private rooms from four to 17, officials said. The redesigned floor includes an upgraded dining room, warm and inviting common spaces with gas fireplaces, new LED lights to make the space brighter, and an improved air circulation system that will increase resident comfort. Resident rooms on the fifth floor have received a substantial upgrade as well. Each room now features an updated bathroom with shower, new furnishings, and a flat-screen television. 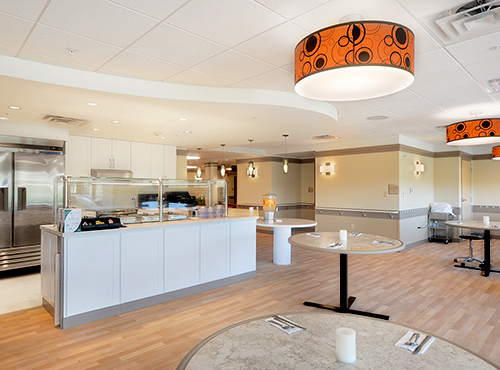 Meals will now be delivered from a centralized kitchen that is also accessible to residents.